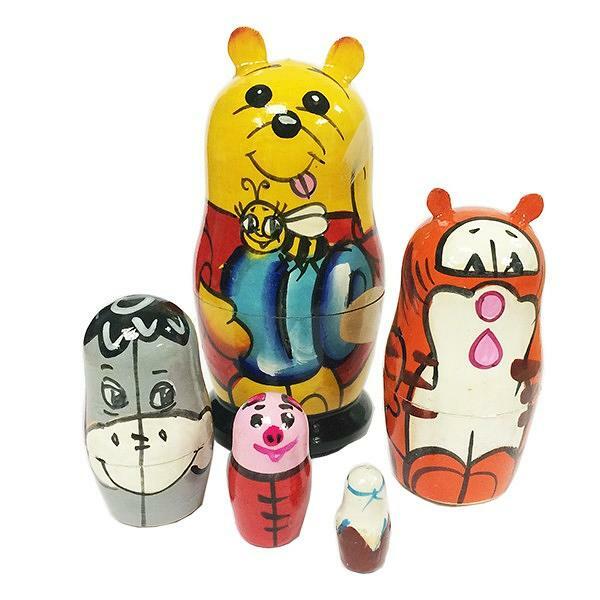 Adorable five piece nesting doll with the unforgettable characters from the epic cartoon series "Winnie the Pooh". 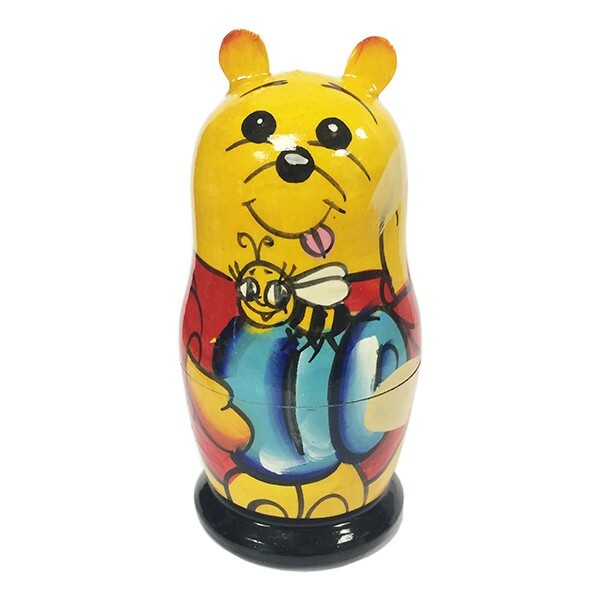 Made from natural linden wood with environmentally friendly materials, this matryoshka is absolutely safe for little children. Recommended minimum age is 3 years.